Giclée* (zhee-KLAY) is a digitally reproduced fine art print on water color paper or canvas. *Prices shown are suggested donation prices (U.S. Funds) and subject to change without notice. For shipping costs outside the USA, phone (513) 531-6279. Proceeds above cost resulting from such donations are used to foster Our Lady of Light Ministries activities and prayer throughout the world. 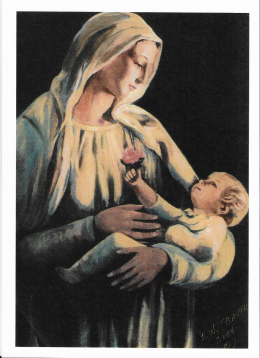 The mission of Our Lady of Light Ministries is to promulgate the messages of Our Lady of Light, to expand her ministries, and to create, organize, and implement innovative services in her name.